MNA – The latest defense achievements of the Armed Forces in the field of ground combat have been unveiled Wed. in the presence of Army Ground Forces Commander Brig. Gen. Kioumars Heidari. The latest domestically-manufactured military equipment that were unveiled today include: a synthetic-aperture radar (SAR) for installation on drones and with the ability to take images in daylight and at night, in cloudy weather, dust, and limited visibility conditions. The SAR can take images of military facilities and fortifications, and discover the enemy’s equipment and deception devices. 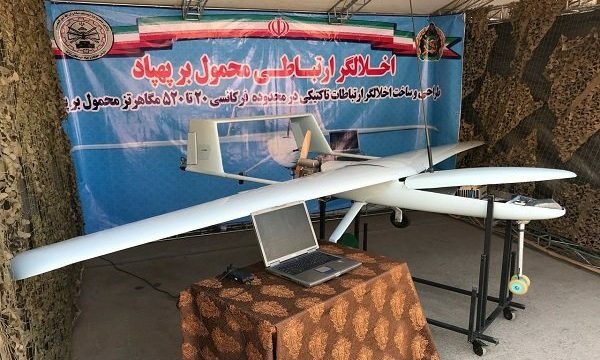 Army Ground Forces also unveiled a communication disruptor installed on drone (Shahed project – Shahin NAZAJA disruption system) with an anti-drone disruption ability, spy bomber multi-rotors in the frequency range of 20 to 520 megahertz, also portable on drones, as well as cylinder and crankshafts for tank engines. A number of weapons, drones, and ammunition were also unveiled in the ceremony.